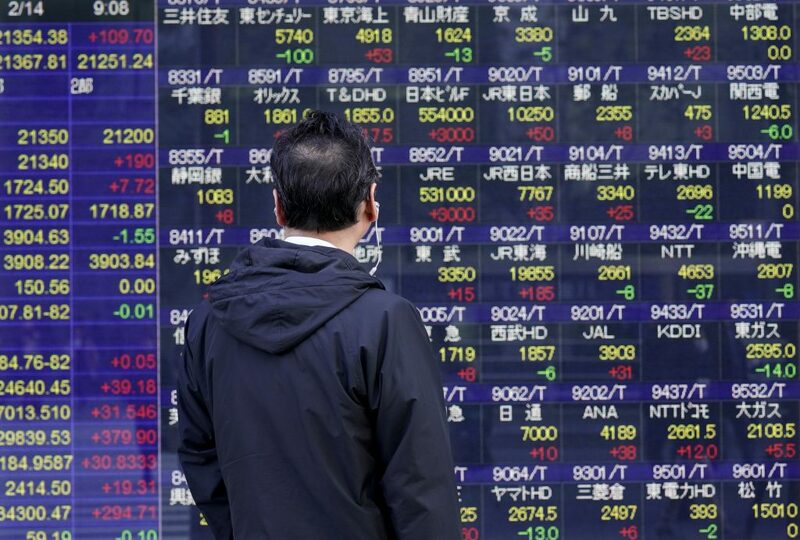 Asian stocks steadied on Tuesday as investors paused for breath after the previous day’s rally, although tech-inspired Wall Street gains supported broader sentiment as focus shifted to bullish economic fundamentals, away from trade concerns. Spread betters expected European stocks to open flat to slightly lower, with Britain’s FTSE declining 0.2 percent, Germany’s DAX little changed and France’s CAC slipping 0.2 percent. Italy’s anti-establishment parties formed a coalition government on Friday to end three months of deadlock and averting potentially destabilizing snap elections. The yield had declined to a 1½-month low of 2.759 percent a week ago when Italian political concerns had soured investor sentiment. “It is premature to declare that euro area uncertainties are over. Questions remain around how the new Italian government will agree to prioritize its spending objectives, how Rome will interact with Europe and how the U.S.-European Union trade dispute will evolve,” wrote Brian Martin, head of global economics at ANZ.